I absolutely love a good roast on a Sunday. There's nothing better than sitting around the table with your family tucking into roast potatoes, wonderfully cooked veggies and feeling so satisfied afterwards. Being plant-based I obviously don't have the conventional roast with meat, instead I have a veggie alternative that is honestly so full of flavour, texture and filling that you wouldn't miss the meat! 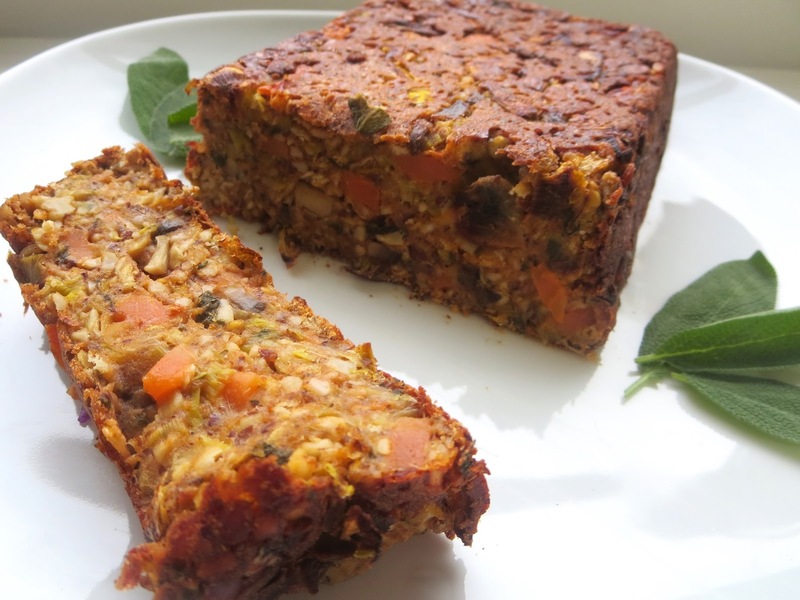 One of my favourites is this lentil, mushroom and sage nut roast. Nut roasts have a little bit of a bad reputation, they're seen as the boring flavourless thing you give a vegetarian as Christmas, but when they're cooked with the right ingredients and lots of amazing herbs & spices there's nothing better! This lentil, mushroom and sage nut roast is brimming with so much texture and flavour. 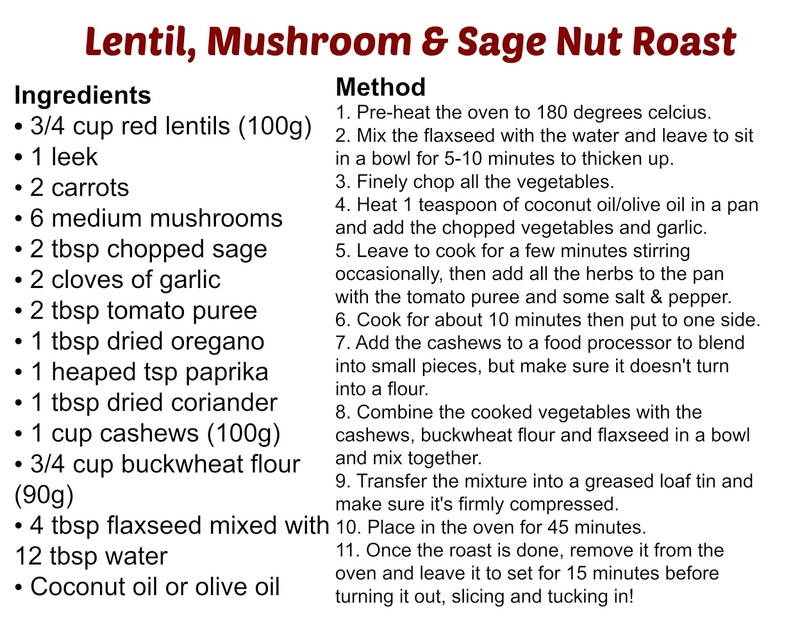 The lentils and cashews give it so much substance and you feel like you're getting a really hearty meal. The leeks, mushrooms and carrots add to the texture of the roast, give you an abundance of veggie goodness and the flavours combined are delicious too. The herbs I've chosen to use compliment the roast perfectly, the sage gives such a beautiful aroma and taste to the dish especially with the coriander and oregano too. Every mouthful is bursting with amazing tastes that you'll really want to savour, and you'll be left feeling so content after your meal, so full of energy and your body will be thanking you for feeding it such nourishing, wholesome food. 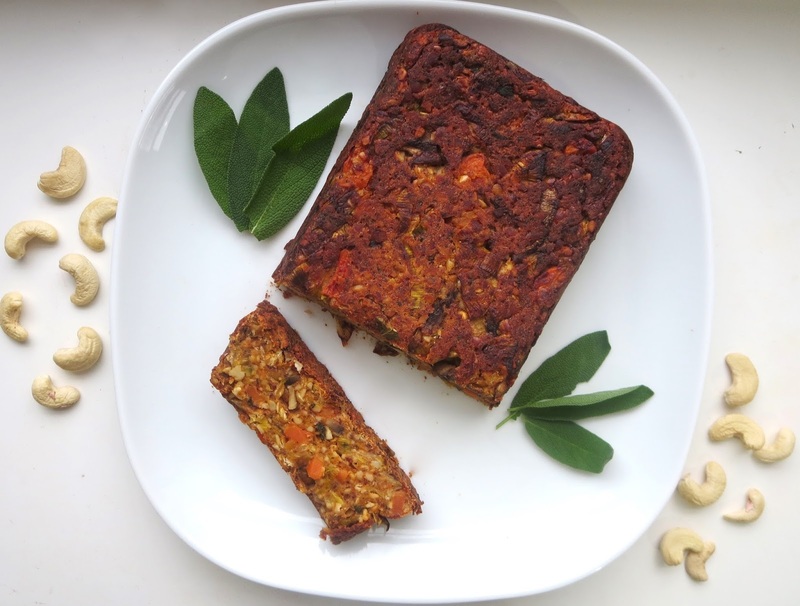 The nut roast makes the best main element for a meal as it contains a lot of protein to fill you up for longer, healthy fats from the cashews and all important vitamins from the veggies! 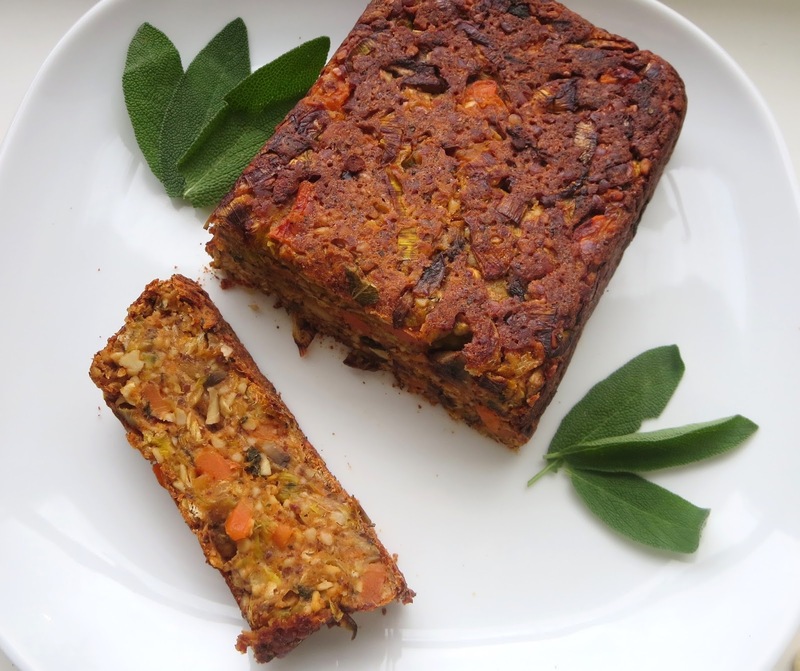 You could eat this nut roast just with some greens like kale, spinach or peas or pair it with roast sweet potatoes and lots more vegetables for a more substantial meal. It can almost be kept in a tupperware container in the fridge and eaten cold the next day - which is just as delicious! EDIT - Cook the lentils according to the instructions on the packet and add it at step number 8.